Georg Jensen’s highly collectible Heritage pendants bring back the elegance of the Art Nouveau period but infused with classic Scandinavian purity of design. Natural twists of sterling silver surround a pale blue chalcedony gemstone that symbolises companionship and good will. Every piece has the year date engraved on the reverse making the pendant the perfect gift for a special anniversary or event. 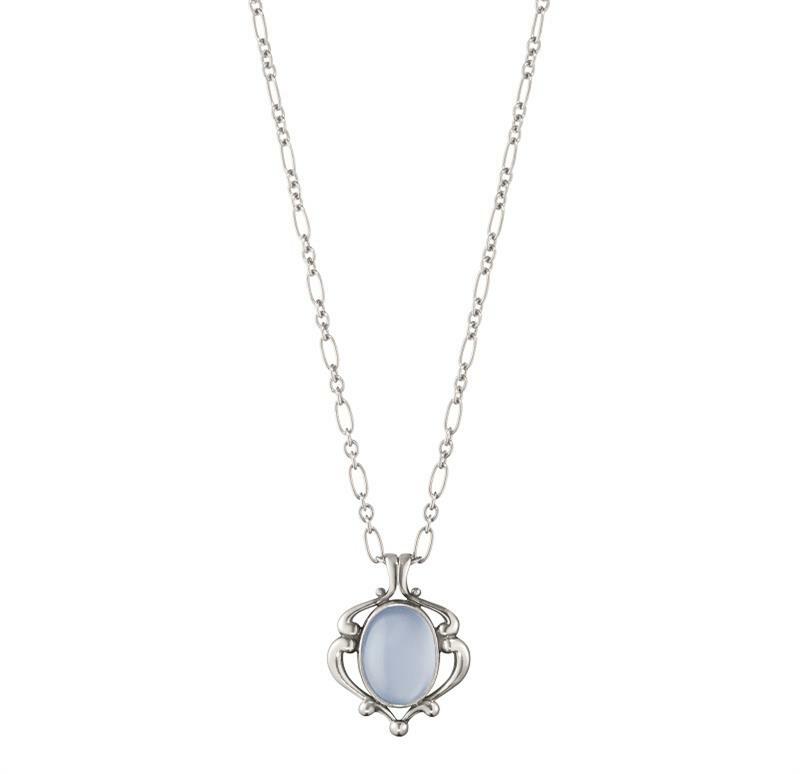 The pendant is expertly made from oxidised sterling silver and a translucent blue chalcedony stone suspended from a 45cm long Figaro chain.